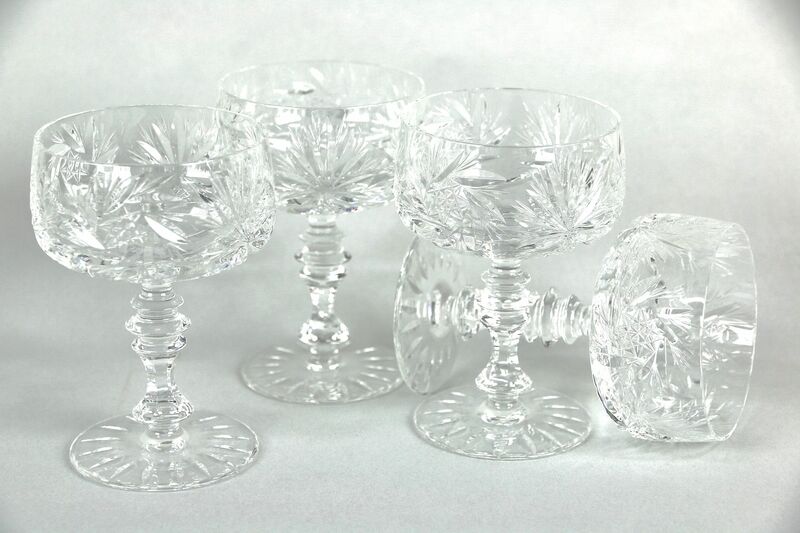 A hand cut glass set of four sherbet or champagne glasses are unsigned crystal in the "Colwein" by "Kristall Neubert" from about 40 years ago. These undamaged vintage glasses from Germany measure 4 1/2" tall and 3" wide. Standard Shipping is $14 in the US.